Have you ever felt like you weren't sure what your purpose was? Have you ever been confused on how to really share the Gospel and disciple someone (or be discipled yourself)? Have you ever wondered how to use your gifts to make Jesus known? Or wondered if God could use you do something eternally significant? And if He could what that would look like? If so, The Missional Women Conference this April will be something you'll want to prioritize. All of these questions will be answered along with a ton more! This conference is different than your average conference because it is a very community, action-oriented conference. You will get to hear from women just like you who are seeing God use them in eternal ways, not because of how famous they are but because of how willing they are. You will also get to have great discussion times with other women (and don't worry if you're shy, there will be discussion questions to guide the conversation) and will get to connect with God's heart during a prayer mosaic (a self-guided prayer station time), serve incredible ministries at the hands on action center, get excellent tools and resources (as well as pretty great free stuff in your goodie bags) and get to hear Shaun Groves in concert. Every minute of your time will be well invested in storing up treasure in heaven. What you take away will benefit not only you, but your family, your church and those in your sphere of influence. So why not bring a group with you? You will leave refreshed, inspired and equipped to live purposely. You will leave knowing why God made you and how to use your gifts toward that purpose. Still not convinced? 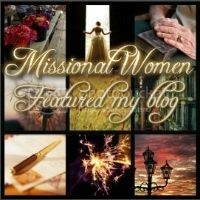 Here are 10 reasons you should go to the Missional Women Conference. And remember, just like Moses at the Red Sea, sometimes an obstacle doesn't mean you shouldn't go, but rather it's an opportunity for God to show off. We're giving away a FREE ticket! Enter by doing the things below. (Most of these you can do every day). Strawberries & Worms, A Rainy Day Treat at The Giles Frontier and The Tongue: Torturing or Tantalizing Words at Intentionally Yours were fascinating. I Have a Secret to Share at Kim Lenon and Willing Hearted at Flowing Faith are great reminders. The Long Winter at Lisa Lewis Koster really puts things into perspective. Congratulations Laura! I pray the outpouring of The Holy Ghost in the convention! Thanks for hosting us again, have a super blessed weekend! Blessings, Laura! So excited to see the Lord move though even the least of us - we ALL have purpose and mission in this New Life if we would pursue God for the details. He is so faithful! Love the adventure of sharing all good things and beauty with a hungry world! Hi there! First time linking up here. I'm so glad I found your blog. 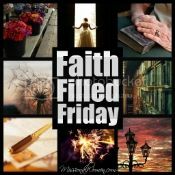 I hope to continue to share here as well as be blessed by your inspirational posts as well as the other readers'. Sounds like holy ground! Maybe some year I can join you. The conference is coming up so fast!! I will pray that all goes smoothly and those who come will be blessed and encouraged to be more missional minded.